The discipline we today call traditional upholstery has its roots in the middle ages. Although its development began in earnest in the seventeenth century and truly blossomed throughout the eighteenth and nineteenth centuries, many of the techniques and natural organic materials we use today, have barely changed since. The Woodworks Project is offering a traditional upholstery course aimed at beginners. 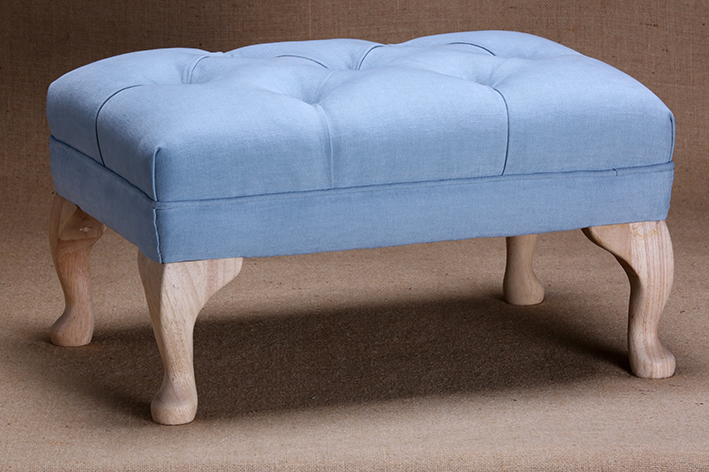 Students on our course will work to upholster a traditional footstool (shown right) and under the guidance of our expert tutor Carla, you will learn all the skills and techniques necessary to complete it over the duration of the course, providing a perfect introduction to this time-honoured craft. 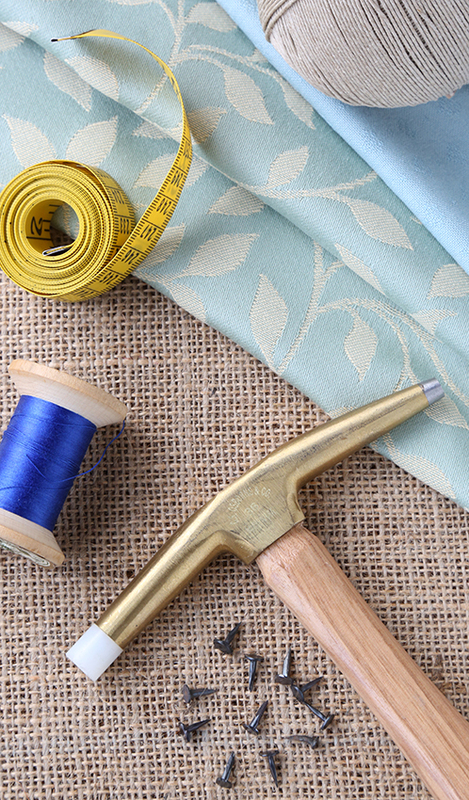 Areas covered on our courses will include techniques such as; webbing, specialist stitching, buttoning, piping, tensioning fabrics and stuffing and shaping. These skills make up the fundamentals of all upholstery and provide a perfect platform for further learning, but perhaps more importantly, its simply really enjoyable and thoroughly satisfying! 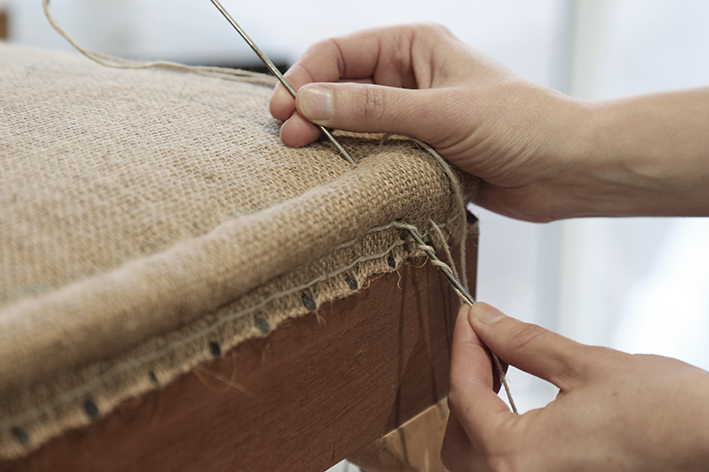 To ensure our students will take home a stool that fits perfectly into their homes, you will be required to provide your own top fabric, but all other materials, including the bare stool frame, are included in the course fee. We would strongly advise that you please ask our tutor’s advice before buying your fabric, as not all fabrics are suitable. It is a good idea to bring a notepad and camera with you to record your work and because upholstery can get a bit messy, we’d advise against wearing your best clothes! Our courses run one day per week over six weeks, starting at 10am and finishing at 4pm. Course fees are £450 including all materials (except top fabric) and use of our professional upholstery tools. We prefer payment by bank transfer, however we can also accept payment by cheque or in cash at our city centre shop, at 32 Southgate Street, Bath. To receive an information pack and to book a place on one of our courses, or for any other enquiries, please click on the button below.